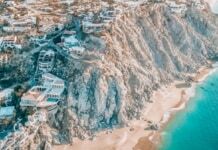 Want to make the most of your Cancun vacation? 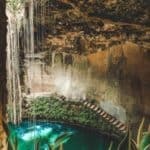 If yes, you definitely need to get away from the Hotel Zone and beaches to see some Mayan ruins as well as cenotes Cancun offers. 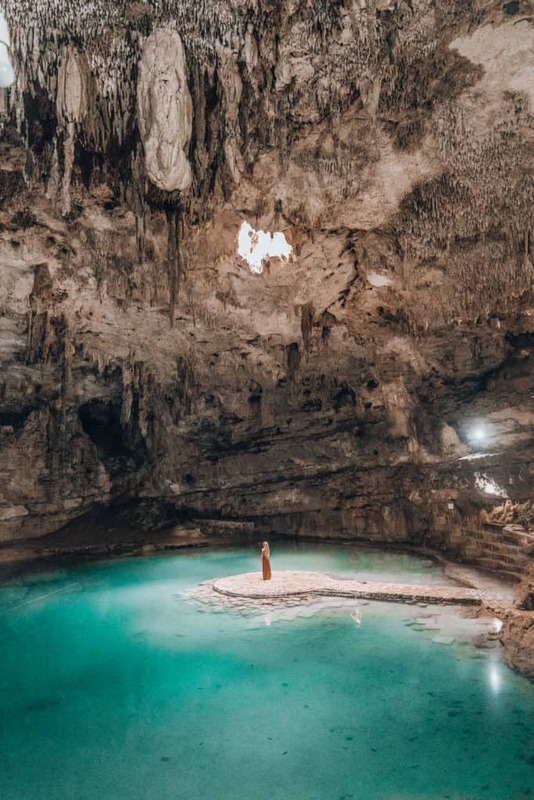 I am not in any way saying the Cancun Hotel Zone and accompanying beaches aren’t amazing, just that visiting cenotes and Mayan ruins adds something else awesome to your trip. 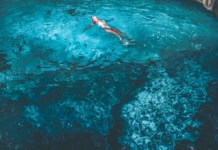 Not sure what a cenote is and why you have to visit – read here. 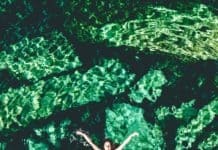 There are a ton of different cenotes near Cancun to choose from, and many offer similar experiences so you don’t need to visit them all. Whether cave, open air, or hybrid, the water is always fresh, and a perfect escape from the sweltering heat. 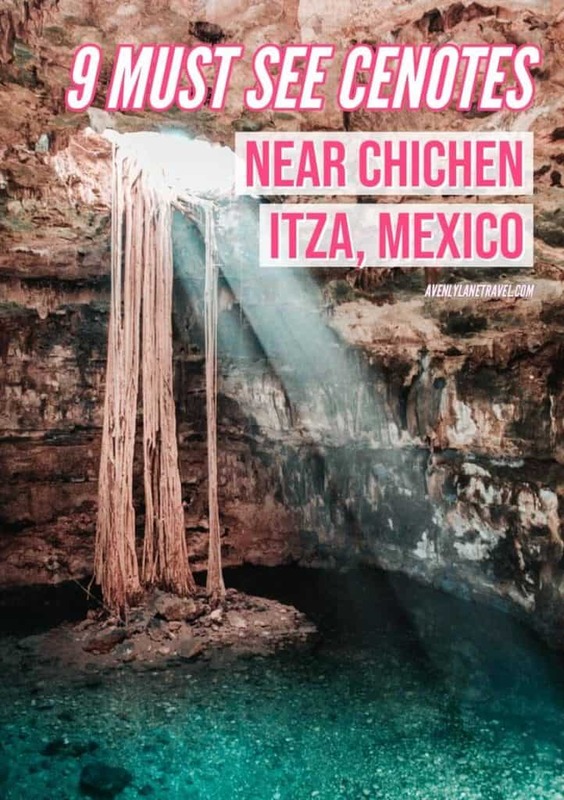 I recommend accessing cenotes and to tour Chichen Itza via rental car. 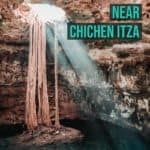 It is by far the easiest and most cost effective way to see a cenote near Chichen Itza. If you want to pay for a Chichen Itza Tour you can often find one that includes a stop at a cenote or two. The drive from Cancun to Chichen Itza is almost perfectly straight for two hours along one highway. It is very easy to do. 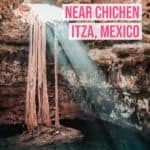 This post highlights the best cenotes near Chichen Itza (but definitely not all) and others along the way. 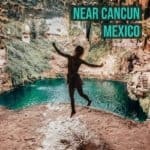 Planning on visiting the ruins of Tulum instead? 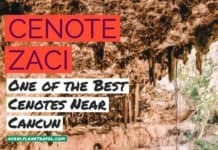 Read about the best cenotes near Tulum here. 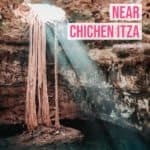 This is the closest cenote to Chichen Itza and because of it often gets called the Chichen Itza Cenote. 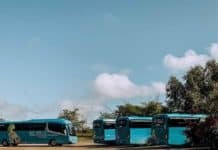 A lot of tour buses include a stop at Cenote Ik Kil. 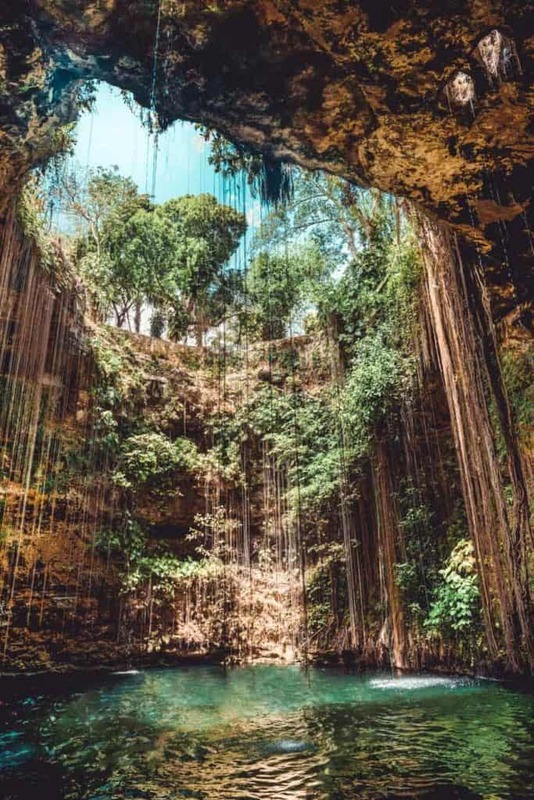 It is gorgeous with vines hanging down over the side of the open cave walls, but its proximity to Chichen Itza means it will be crowded. 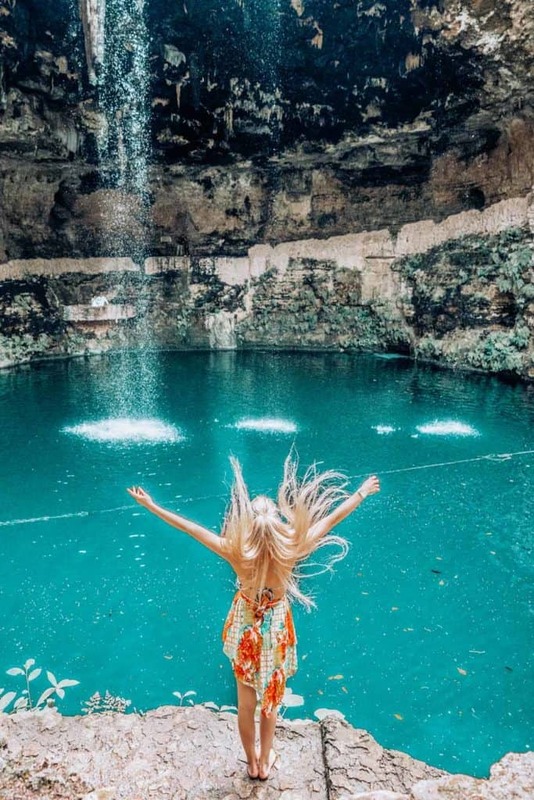 Even with the crowds Cenote Ik Kil it is still easy to enjoy, as the water is refreshing the scenery gorgeous. It is the perfect way to follow up your Chichen Itza tour. Cebote Zaci in Valladolid Mexico on Yucatan peninsula. This cenote is a lot like Cenote Ik Kil, but without massive amounts of people. 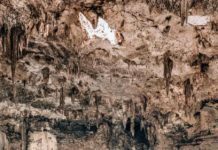 Cenote Zaci seemingly pops up in the middle of the town of Valladolid. When we went it was nearly empty. Some of the people who were there were incredibly friendly locals. The town of Valladolid is directly off the main highway so even though is still 45 minutes to Chichen Itza, you haven’t really gone out of the way. 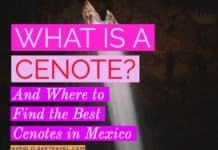 This was our favorite cenote read why, though it does involve backtracking slightly on your path to Chichen Itza. 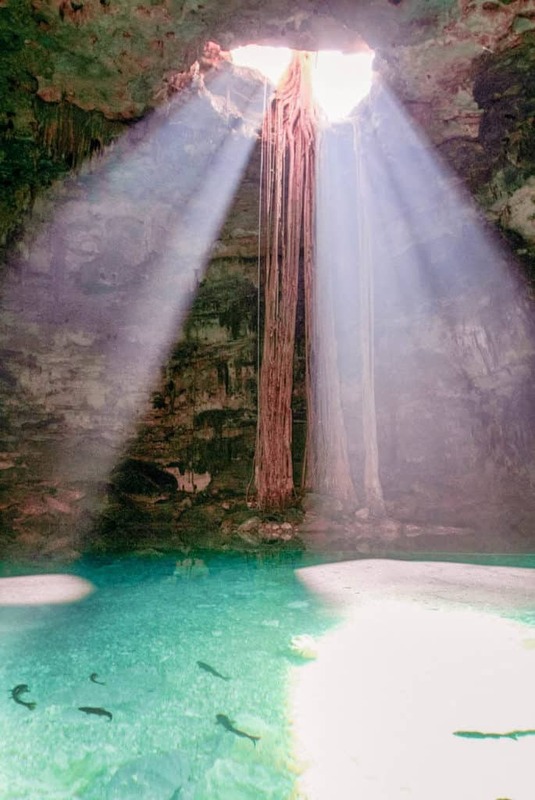 The hole in this cave cenote creates a beam of light that has become Instagram famous. 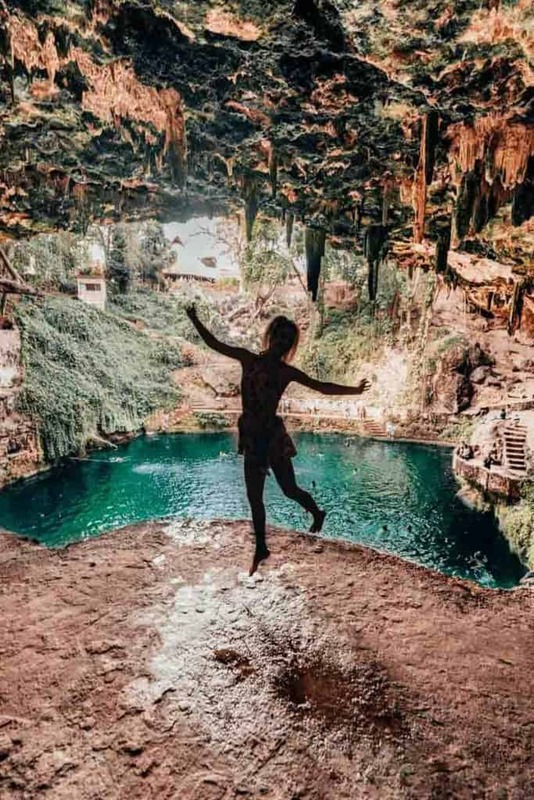 More and more people are seeking this cenote out to snap the perfect picture, but not as many go there to swim for hours as it does involve a slight backtrack, and doesn’t let a ton of sunlight in. 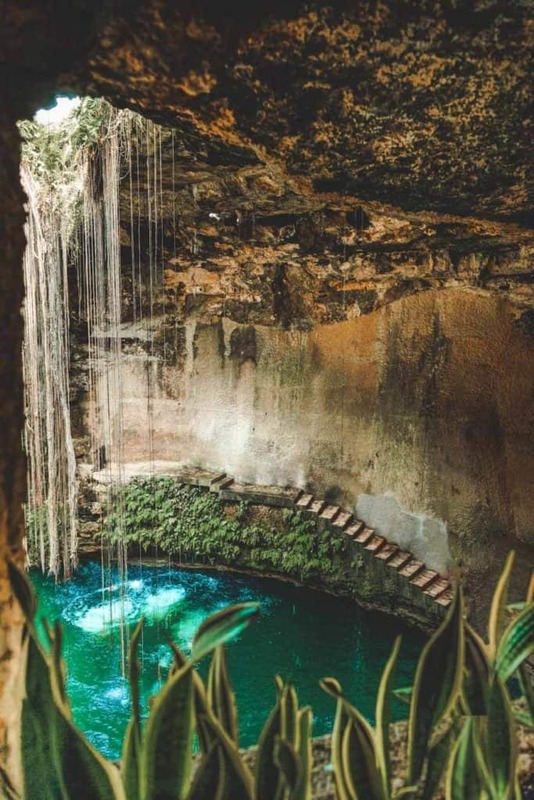 This is one of the closer cenotes to Cancun, so if you don’t want to do a long drive, consider stopping at Cenote Maya. It does feature a huge domed roof and a zipline, but it is one we skipped because supposedly it does not allow photography inside. 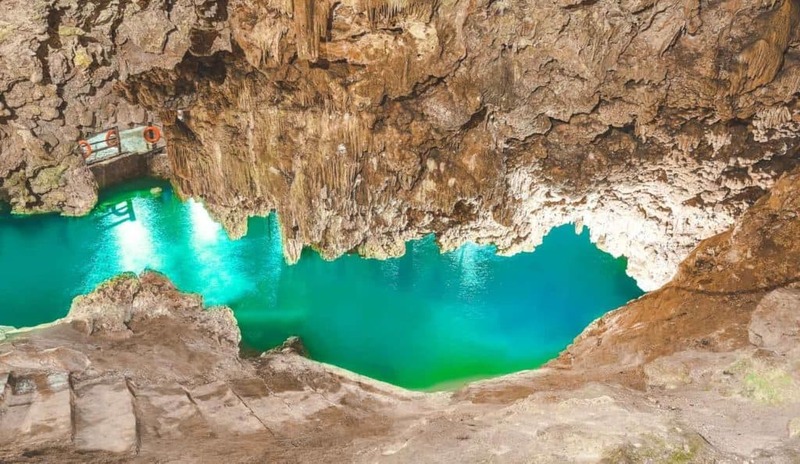 For those seeking out extra adventure though, how can you turn down the opportunity to zipline in an underground fresh water cave! 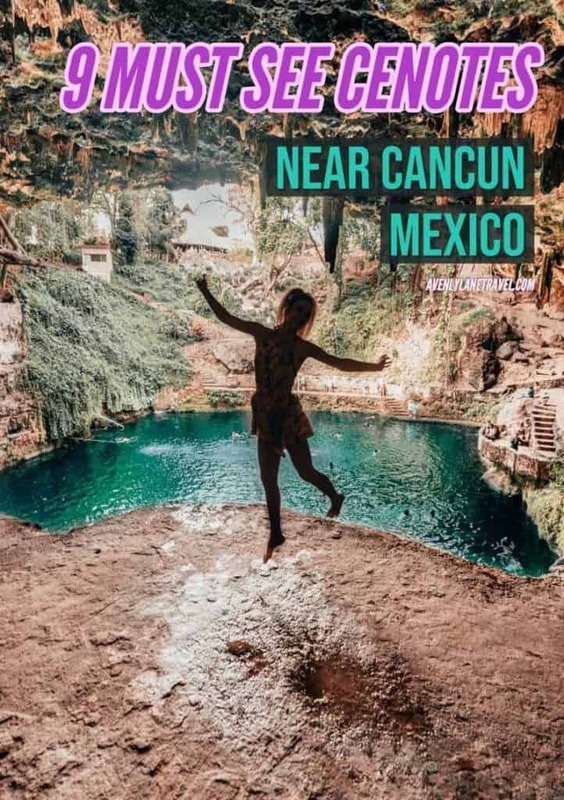 This is one of the closest cenotes to Cancun, but is not really on the way to Chichen Itza or Tulum, though it is close enough to be considered one of the cenotes Playa Del Carmen offers. 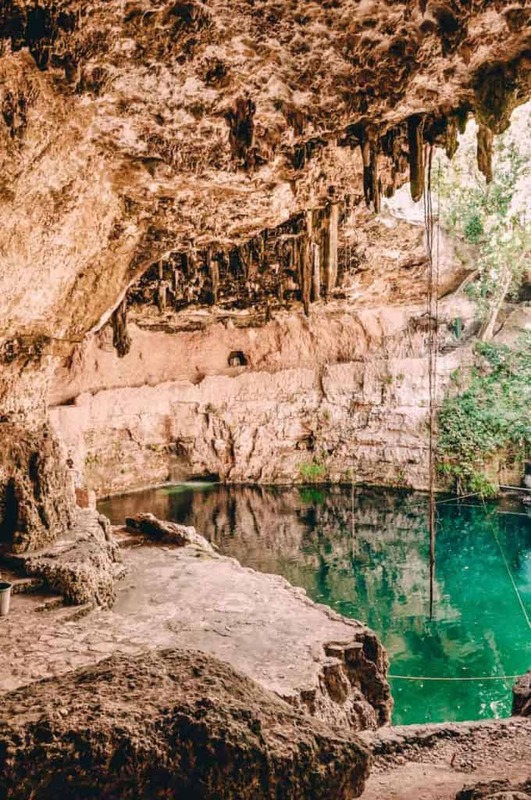 Cenote Siete Bocas means seven mouths, refers to the seven different cenotes/openings. 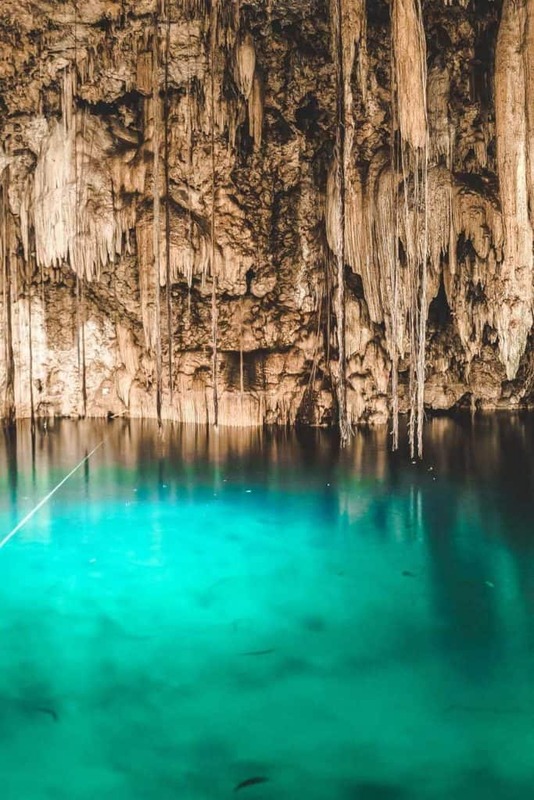 Though none of them are that big, it is still a great place to get quick experience with the different type of cenotes. 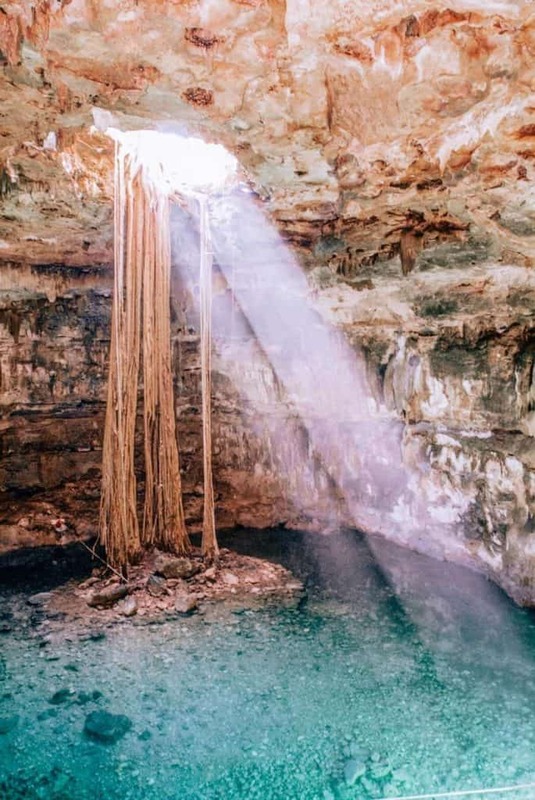 Also an FYI, it is almost double the cost of most other cenotes. I put these two cenotes together since they are in the same park. You can pay to see one or both at the front gate. I highly recommend both. 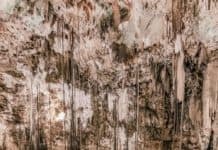 Both are cave cenotes featuring incredible stalactites and stalagmites. The water is colder in both of these, so long swims aren’t as common. The hybrid open cave cenote is a little bit further out of the way. 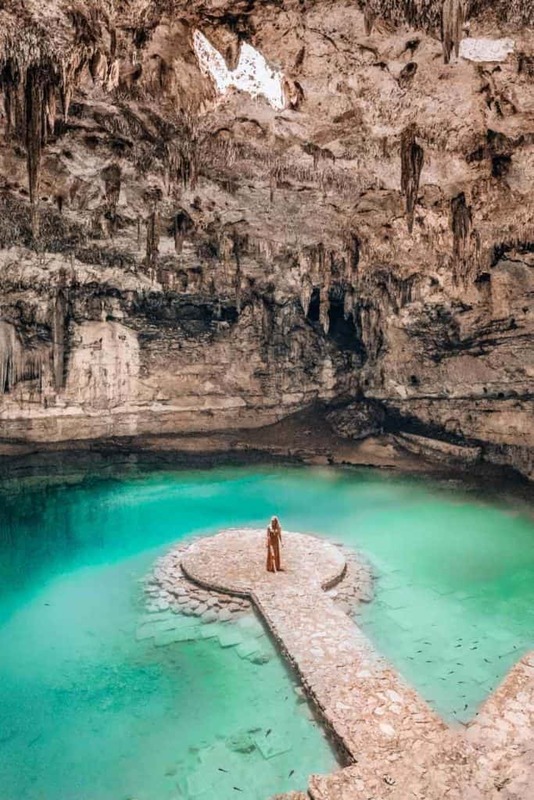 Though it has a similar look to Cenote Ik Kil and Cenote Zaci, the additional drive time means that you have a much better chance of having the place to yourself. We were driving to Cenote Samula and Cenote X’keken and accidentally thought we arrived and pulled into Cenote Samula. I ended up being quite pleased with the mistake as Saamal is another gorgeous cenote. 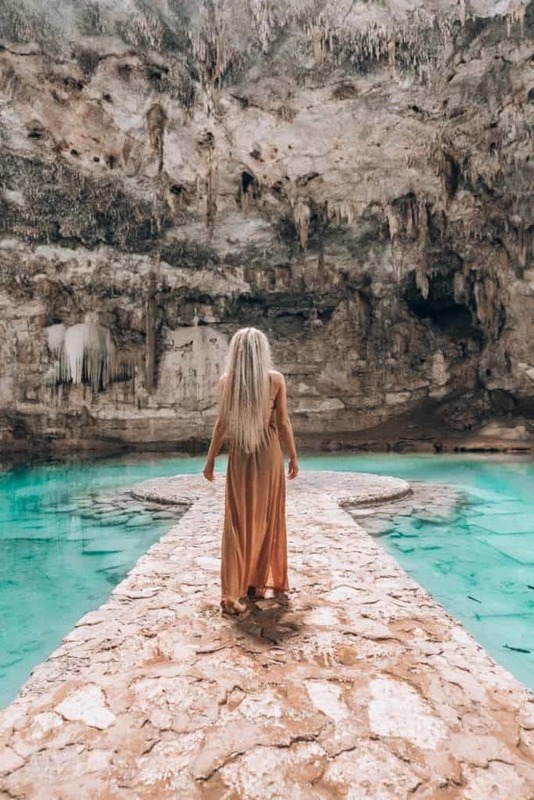 A number of tour buses stop here, but the waterfalls coming in from the sides of this cenote make it even more picturesque. 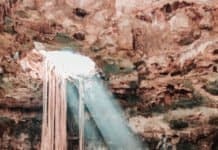 If you choose to go to the ruins of Ek Balam (super cool because you can still climb on the ruins), then this cenote is not really out of the way. Cenote Hubiku is not quite as gorgeous as some of the others, but still features beautiful vines and water running over the cave walls into refreshing blue water. 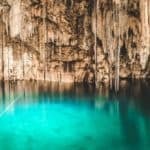 Which one is your favorite Cenote near Chichen Itza?